Opening hours: Shops are generally open Monday-Wednesday, Friday 9am-5pm, Thursday 9am-9pm, Saturday 9am-3pm. In Rockhampton you will find a wide range of activities and entertainment that will please every need and desire. From beautiful gardens to museums displaying Rockhampton's history, crocodile farms, cultural centres and much more. You will certainly have a great time staying in Rockhampton and beyond, traveling to the near-lying Great Keppel Island. 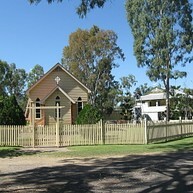 Rockhampton Heritage Village is located just off the Bruce Highway, close to the Yeppoon turnoff. It is an active township museum where visitors can step back in time and experience Rockhampton’s rich history. It covers 18 hectares of bushland and gives a taste of Rockhampton's past, with homesteads and other buildings dating back from 1850 until 1950. This is the only hotel in Australia with its own indoor rodeo ring. The iconic Great Western Hotel is not only a hotel but also an entertainment venue. 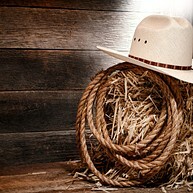 They offer exciting events like rodeo or bull riding, live music and great food. Watch the amazing rodeo as you dine on the best steak in Australia. 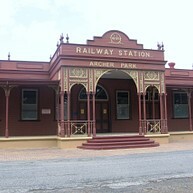 The museum tells the story of the development of railroad transportation in Rockhampton, and is set in the 100-year-old Archer Park Rail Station. The main attraction of the museum is the fully restored Purrey Steam Tram, which still operates every Sunday. The station also features a revolutionary digital soundscape system that provides an audio interpretation for the entire site to create a unique visitor experience. Whether you want to see a crocodile that weighs over three-quarters of a tonne or just to see a baby croc hatch out of its egg, Koorana Crocodile Farm has it all. 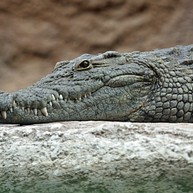 You can try crocodile meat or buy products made from the highest quality crocodile skin. Koorana Crocodile Farm and Restaurant is approved by the Australian Government and offer two tours a day. With specimens of over 200 palms, cycads and ferns, the Rockhampton Botanic Gardens are regarded as one of the best provincial gardens in Australia. The heritage-listed Botanic Gardens are 130-years-old and perfectly suited to spend a sunny afternoon with the family. Located within the Botanic Gardens, the Rockhampton Zoo is home to a wide range of animals in their natural surroundings. Kershaw Gardens is a peaceful oasis in the heart of Rockhampton with a collection of native plants. Its special features are the natural bush environment and tropical rainforest in comparison to the more formal traditional Botanic Gardens. Make sure not to miss the impressive waterfall. Australia’s largest Aboriginal Cultural Centre set in natural bushland with local indigenous culture exhibited. Get an insight into the Aboriginal and Torres Strait Islander heritage and history, listen to a didgeridoo or throw your own boomerang. Located next to the Fitzroy River, Rockhampton Art Gallery has more than 1,700 objects on display. 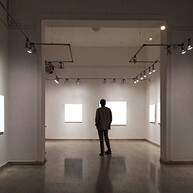 The collection ranges from mid-twentieth century Australian paintings to contemporary art. 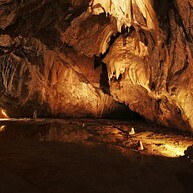 Explored in 1882, the Capricorn Caves are a system of above-ground caves in a limestone ridge. Learn about the caves' ancient geological landscape with marine fossils, watch thousands of bats leave the caves to feed on insects or listen to the natural acoustics of the Cathedral Cave. 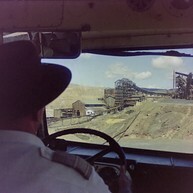 This heritage-listed Gold Mine was once the deepest man-made pit in the Southern Hemisphere. Feel like travelling back in time to the gold rush era, learn of the amazing mining history and see Jurassic dinosaur footprints. Mount Archer is the highest peak and provides fantastic views of Rockhampton and surroundings. Watch the sunset over Rockhampton while having a picnic or explore the summit on one of the walks. 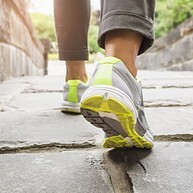 Walks include short distance and more challenging uphill walks. Byfield National Park is a forest recreation area stretched along the coastline with a view out to the Keppel Islands group. Enormous sand dunes and a picturesque coastal scenery dominate the southern part of the park, while in the north you can hike through rainforest and take a bath in Stony Creek, one of the best local fresh water swimming holes in the area. The park is perfectly suited for a host of outdoor activities like camping, picnicking, walking, four-wheel driving, boating and fishing, cycling, and even horse riding. Go for a stroll in Quay Street with its heritage-listed sandstone Victorian-era buildings alongside Fitzroy River. You can pick up leaflets that map out walking trails around Rockhampton from the visitor centres. With traditional old-fashioned style and character and a great variety of shows, the Pilbeam Theatre is one of the finest theatres in the region. 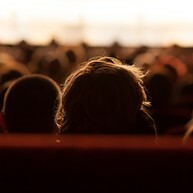 Productions are offered all year round and range from the best local to national and international entertainers. In this community, arts and leisure center you can find many art, craft, music and leisure groups. Visitors can join in activities like arts and crafts workshops, movie programs, photography, pottery, woodwork or even rail modelling. Located just 15 km off the Queensland coast and part of the Heritage-listed Great Barrier Reef, you can’t fail to be impressed by the stunning landscape or the relaxed atmosphere on this island. 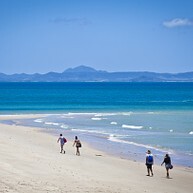 Coral gardens, turquoise waters, pristine, white beaches and native wildlife, Great Keppel Island has it all. The island is perfect for swimming, snorkeling and diving and if you are lucky you can also observe dolphins, whales or birds.